The recent explosion in the popularity of social networking giant Twitter may be temporary according to a new report. A survey from Nielsen Online has suggested that only 40 per cent of users who sign up for Twitter regularly will return to the site a month later. The survey comes amid the news that Twitter saw its users increase by an incredible 95 per cent in March this year. Twitter has enjoyed a glut of publicity in recent months and coverage in national and regional publications is thought to have been responsible for the 10 million new users who signed up during March. David Martin, Vice President of Primary Research at Nielson Online compared Twitter to rival networking sites Facebook and Myspace. He did not ‘tweet’ his analysis. Google is helping medical officials track the recent outbreak of Swine Flu. The search engine company has created estimates of flu activity in Mexico based on the number of Google searches in each district of the country. This data is useful as it shows real-time interest in a topic; the number of people searching for specific phrases at a certain period. This process allows officials to track the spread of a virus based on internet searches. 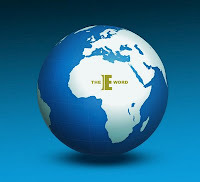 This week saw the release of the brand new theEword website. The new site is designed to showcase the SEO and PPC services theEword provides. It also features a Twitter feed so you can keep in touch with all the news for theEworld. A big congratulations to all the team members who worked on the site. It looks cracking.